Even as Mannan was killed in the wee hours of Thursday, around 2:30 am on October 11, the police refused to confirm his killing well until the afternoon. Rumours about his death were afloat early morning ever since the news of an encounter in North Kashmir’s Handwara district started pouring in. The sudden closing of schools, colleges and offices at many places along with shutting down of the internet in possible anticipation of protests, only made things suspicious. But no one seemed to be sure. People prayed that the rumour be just a rumour. Mannan’s immediate family, locals in his village and elsewhere, and media-persons who would have otherwise rushed to the spot, all were left confused. By the time news was confirmed, the military set up had already mobilized to halt the movement of people going towards his house. The common people, who wanted to perform their religious duty by attending the funeral, and the media persons, who wanted to do their professional duty by reporting about the funeral, all were stopped. As a man at arms, Mannan was considered dangerous by the State. As a man of letters, his ideas were perceived to be dangerous. But did he pose a threat even after his death, when both his gun and his pen had been snuffed into silence? Mannan would probably have had a laugh about the state of affairs on the day when he finally returned home to lie down by the side of Tekipora’s village shrine amidst the Lolab Valley. Mannan’s write-ups touched upon a wide range of questions from personal to local to global—about his intellectual journey; his choice to pick up the gun; the necessity to continue to write even after he had chosen armed struggle as his primary mode of resistance; the role of Islam in resistance; the contribution of Kashmiri women in the struggle for self determination; the complex functioning of the military occupation; the goals and mechanisms of surveillance; the state of politics in India; the rot of communalism in India’s parliamentary politics; the fault-lines of caste; India’s treatment of its minority Muslim population, and the people in the North-East and adivasi and tribal areas; difference between violence and self defense; the various horizons of resistance; the elitism of discourses; and so on. I do not intend to reproduce his arguments, for his writings were circulated through social media and remain available in the public domain. Suffice to say that Mannan’s ideas—much like the early career scholar that he was when he left his studies at the Aligarh Muslim University to join the Hizbul Mujahideen late last year—are an eclectic mix in various stages of articulation. While some of his thoughts are detailed, some are a mere mention of words and phrases. Few read as seemingly arrived at conclusions, while others appear to be only beginning to take shape. Mannan seemed to have so much to say. But considering the choice he made, he did not have much time to do so. He must have been aware of that stark reality? Was that the reason that he decided to argue so many things in so less a space? We will never know for sure. However, what remains certain is the fact that we will never again get to read his thoughts, neither will we be able to witness what shape his ideas would have taken, had he continued to survive. Most of his ideas would be familiar to a university-educated audience. 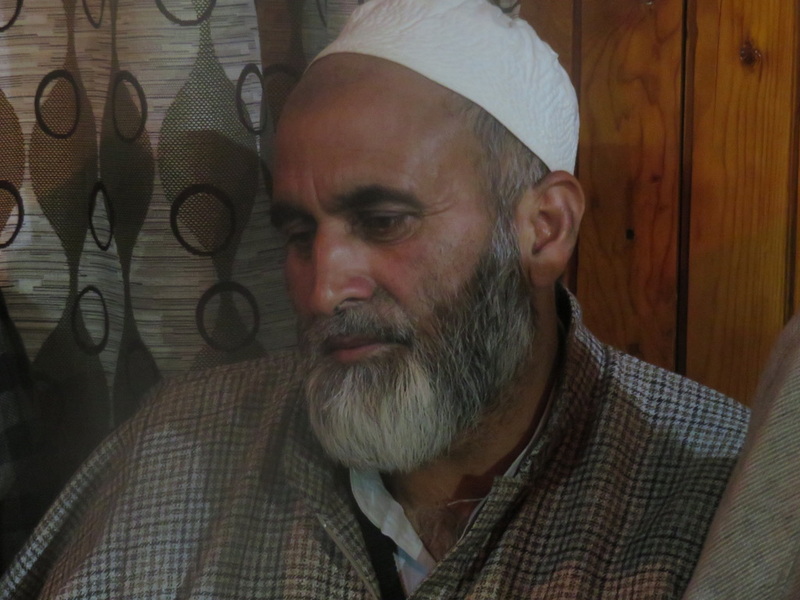 If one leaves aside his open legitimization of the armed struggle, there is possibly nothing which people in Kashmir, or elsewhere, would not say out loud. Having made his choice, his articulation is defiant without recourse to hushed tones of compromise. Nevertheless, Mannan realizes that the occupation is a complex system that operates at multiple levels, and needs a multi-pronged response at different levels of the society. “We are all soldiers of resistance,” he had declared in his first article. However, he is also convinced that in the ultimate analysis it is the force of the Indian military that keeps the structures of hegemony and collaborative apparatus in place. It is this military set up, which he along with his fellows, “made a conscious decision to stare at” holding a rifle in hand. With Mannan, the rebellion is ultimate; an expression of an absolutely free will; a will whose fate under the military occupation is predestined. In his life and death, he refused to be tempered by the desire to survive. He refused the bindings of multitudes of official and self-imposed censorships that most of us accept and/or impose upon ourselves in our attempt to negotiate and survive the violence of the system that occupation carves around us. He refused the blackmail of life, of the politics of survival, and in doing so, Mannan paid the ultimate price he must have known he would pay one day. Who is responsible for such a great loss is a question we all have been asking repeatedly. There have been so many calls for the resolution of Kashmir dispute, which continues to catapult young people to pick up arms and eventually get killed, that merely saying so sounds like a tired, broken record. Above all, Mannan’s words seek the same end—to emphasize the political and historical basis of the dispute and the right to self determination of Kashmiri people; to affirm the fact that even as the war is terribly unequal, it cannot be comprehensively won by the Indian State; to press upon all concerned parties and stakeholders that there must be an honest political engagement free from the interference by the military establishment; and finally, to seek a resolution which prioritizes the aspirations of Kashmiri people who continue to struggle and suffer. Mannan’s words perhaps signify what Gramsci called “pessimism of the intellect, optimism of the will.” They are a dire hope for an honest political engagement, yet he refuses to believe that such a moment will arrive without the force of arms, for he writes: “The day, the gun is silent, their deceit will succeed.” Evidently, arguing with a gun in hand is his provocation, but what he intends as a goal is an end to the deceit of occupation’s apparatus. How long before the-powers-that-be will listen to Mannan’s words? Will politics throw up a dignified choice for the people of Kashmir? 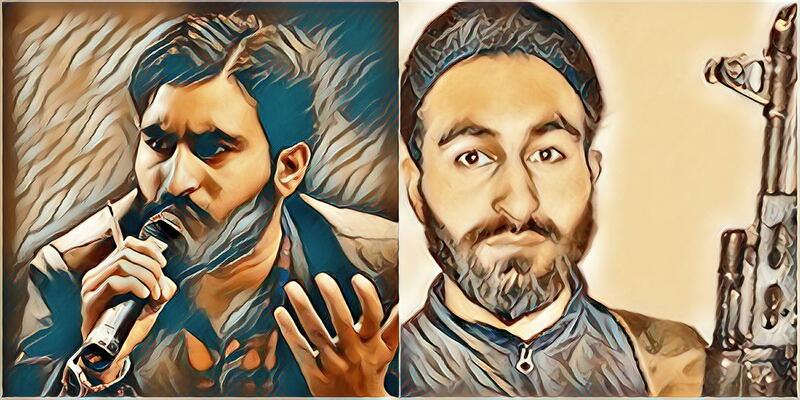 Around 1:30 pm on Thursday, when it was finally confirmed that Mannan Wani was one among the two people killed in the Handwara encounter, a team of reporters headed towards his home. On the highway from Srinagar towards Kupwara district, people had already come out on streets. The reporters kept passing by barricades put up by groups of protestors after telling them that they were headed to Mannan’s house. They also managed to pass numerous checkpoints put up by the army and the police, who finally stopped them around 3:30 pm at the Gateway to Lolab, about 20 kilometres from Mannan’s house. For about three hours they were stranded without any internet connectivity and not allowed to go any further. Besides, this was the only motorable road they could take. Some locals were allowed to pass, but many were stopped and pushed back by force. While the armed forces bought time, the reporters were given many excuses, both by the officials present at site and those they spoke to on phone—the funeral has already taken place and there was no point in going; the funeral will take place tomorrow and they must go back; the police have orders from the higher officials, and such like. 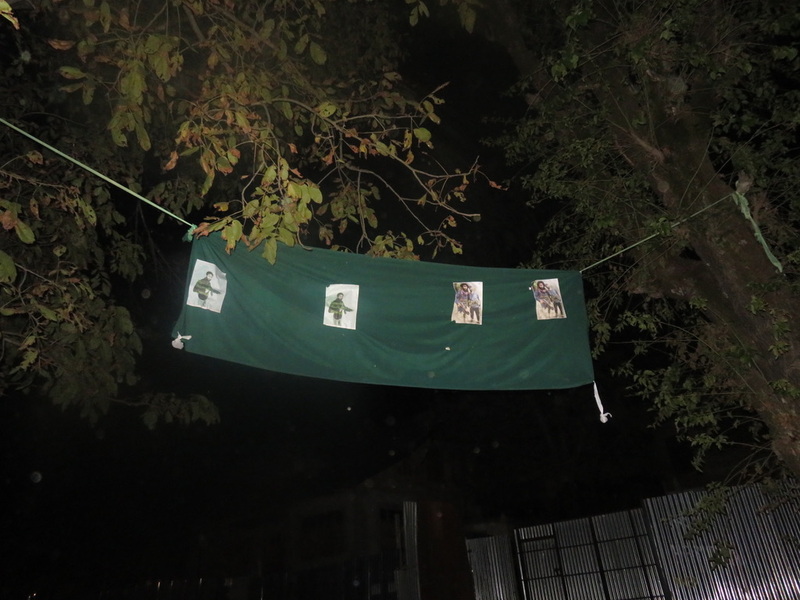 Interestingly, one on-site policeman told the group “The pictures will be out anyway tomorrow, why do you want to go to the spot?” When after much negotiation, they were eventually allowed to move further at about 6:30 pm, Mannan’s funeral had been over, and it was already pitch-dark. This meant that while they were able to speak to the mourning family late at night, they could neither be present on the spot to cover the funeral nor could they file their stories on the same day. Additionally, they were not able to get any professional pictures from the site. After being finally allowed to proceed, the group drove past a long caravan of vehicles—cars, bikes, and even tractors—which were filled with people returning from the funeral. Further down the road, hundreds of women and men were walking back in small groups identifiable in the dark by strings of light emanating from their mobile phone torches. There were others along the way who were offering water to passers-by. Closer to his village, the air was heavy with tear-gas, the road littered with stones, and posters of Mannan pasted on a cloth hanging across the road between the trees.